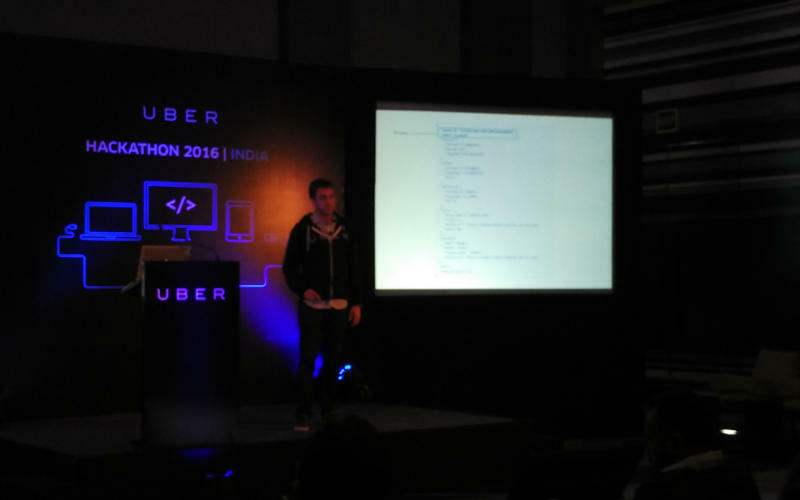 At Uber’s first ever Asian hackathon held in Bengaluru on Tuesday, taxi aggregator Uber announced the launch of its Global API called Trip Experiences. Launched on developers.uber.com, it lets startups leverage Uber’s API to provide an enhanced and gamified travel experience during the free time that Uber riders have during their trips. Saad Ahmed, Business Development Lead, Uber India said that it was also the first time that a global API launch was done from Bengaluru, where the company would be setting up an engineering team. Dmitry Shevelenko, Head of Business, Uber Developer Platform said that the company’s focus on its API platform, launched in March 2015, had been on helping riders make a booking without having to re-enter the address on the Uber app. A focus on intent to ride has been good for the company, he said, citing Microsoft’s integration of the API into Cortana, which was done from the Hyderabad office. “The API has been helping folks up to point A. Using our API, someone could rebuild our Uber for Android app. What we’re announcing today is a shift from utility, to opening up the platform for true creativity,” Shevelenko said, adding that the Trip Experiences API opens up opportunities that happen on the trip itself. He calculated that Uber riders had generated 20 billion units of free time on over one billion cumulative Uber trips. The Trip Experiences API will leave users in control, the company said, adding that only apps specifically given permission will be able to connect to Uber and access their trip details. Users can also turn off the feature on an app by app basis, the company said. The company showcased use cases for apps centred around entertainment, news, dating, gamification, local guides, and IoT-based home automation. The API can tell developers when the rider has free time, how much free time they have, where they’re coming from, and where they’re going, the company said. Zomato, Zo Rooms, Housing.com, and Satyam Cinemas were some Internet companies who had integrated Uber’s API into their apps, the company said. In a recently mailed fact sheet, the company said that it had over 250,000 driver partners on its platform active in India, with a presence in 26 Indian cities.